Hey Lovelies, happy Wednesday! 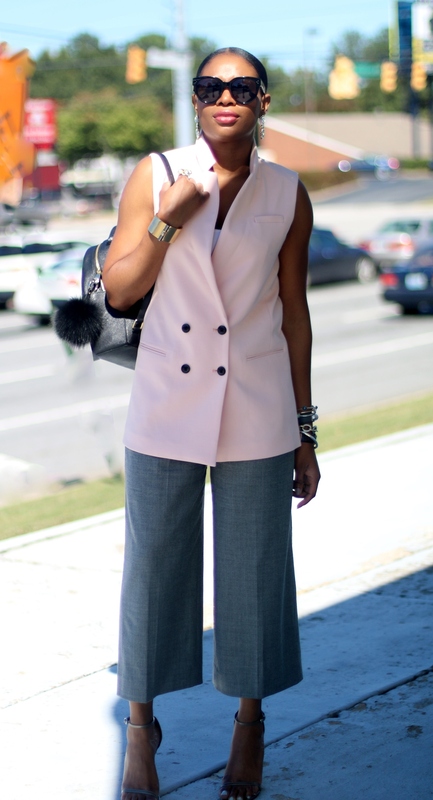 I hope your week has been a stylish one so far. 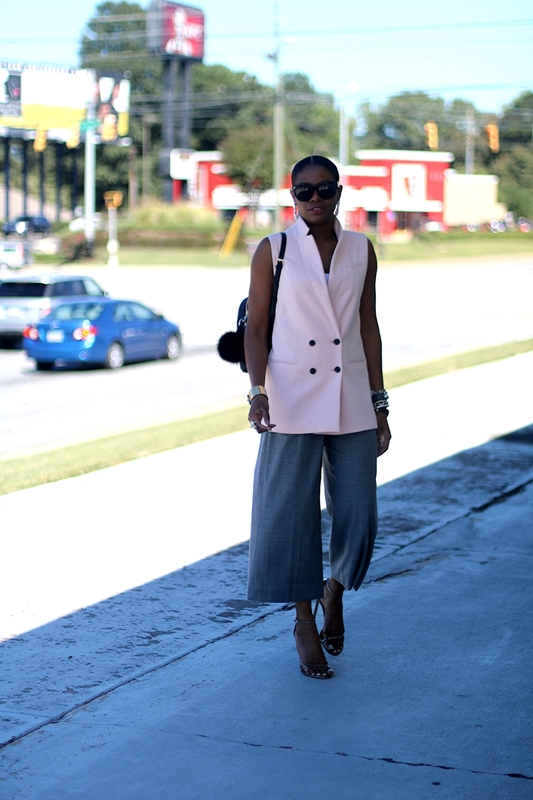 Today’s look highlights some major fall fashion trends; the long vest, culottes and the color grey. 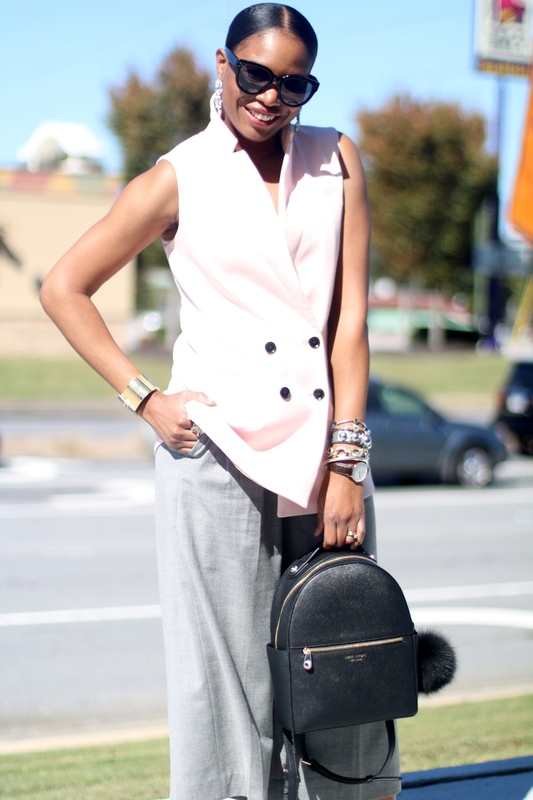 Grey is the ultimate complimentary color, and In this look grey does an amazing job at framing the blush vest. 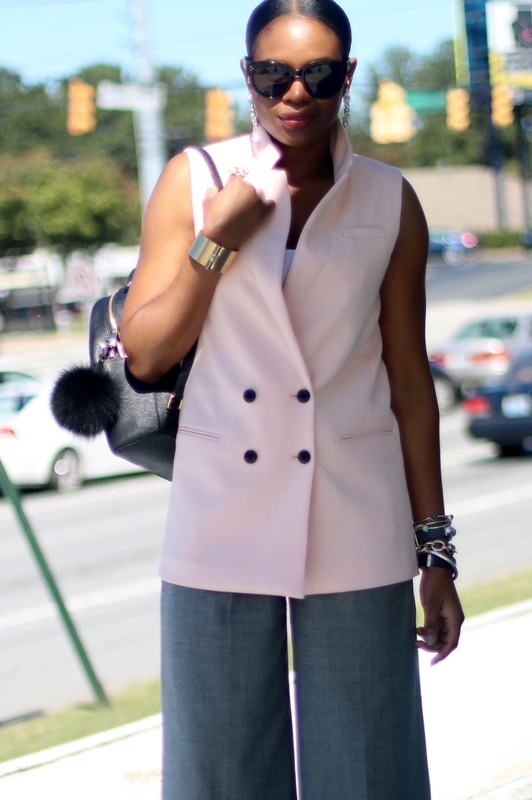 The long vest trend is everything right now, hence if you haven’t invested in one yet, what are you waiting for? 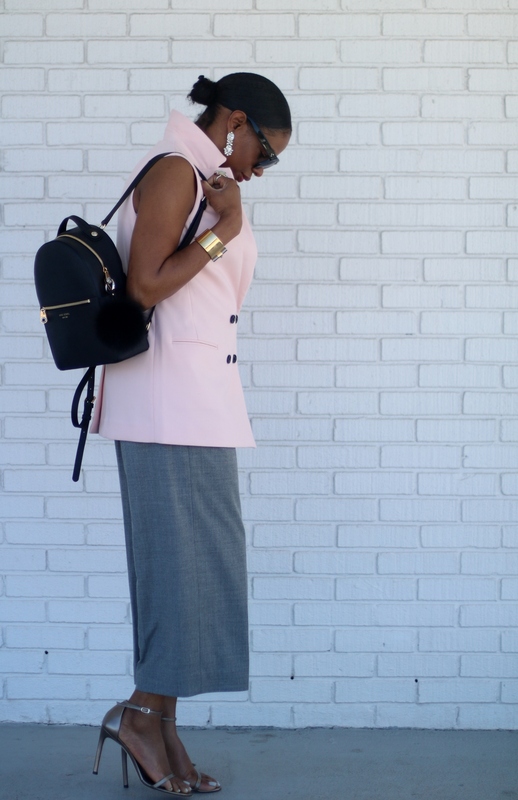 Get inspired by today’s look and invest in style.